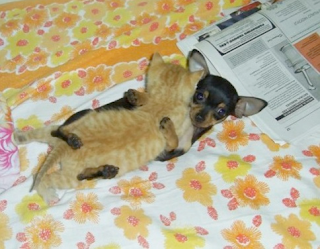 Had to grab these two pictures from Jerry Coyne's blog (which is always interesting)--interspecific love #1 and #2. 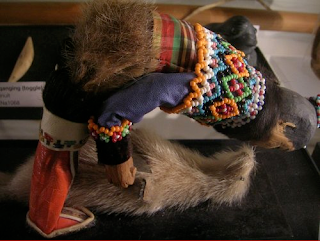 The first is a doll for Inuit kids. The second, well, no comment. Animal advocates will notice that the doll is made out of animal parts. Doesn't that capture the essence of the animal conundrum? People really do love animals, while also viewing them as resources. Those attitudes are hard to reconcile.